A cutting-edge, research-based inquiry into how we influence those around us, and how understanding the brain can help us change minds for the better. 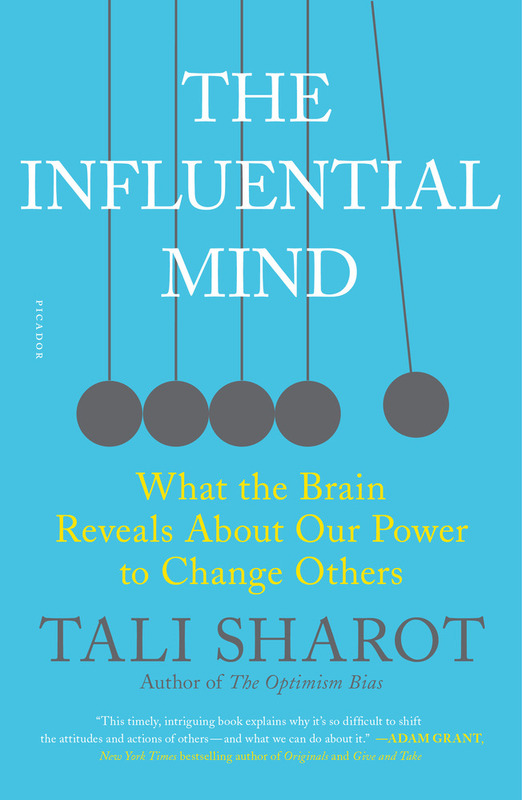 In The Influential Mind, neuroscientist Tali Sharot takes us on a thrilling exploration of the nature of influence. We all have a duty to affect others—from the classroom to the boardroom to social media. But how skilled are we at this role, and can we become better? It turns out that many of our instincts—from relying on facts and figures to shape opinions, to insisting others are wrong or attempting to exert control—are ineffective, because they are incompatible with how people’s minds operate. Sharot shows us how to avoid these pitfalls, and how an attempt to change beliefs and actions is successful when it is well-matched with the core elements that govern the human brain. 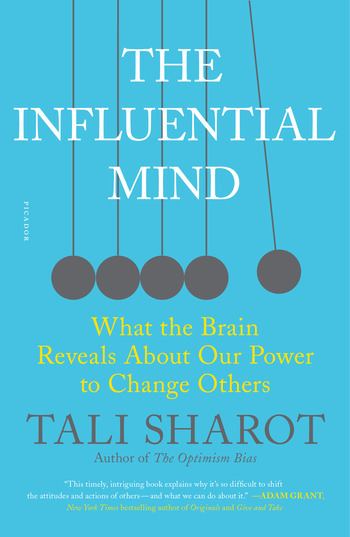 Sharot reveals the critical role of emotion in influence, the weakness of data and the power of curiosity. Relying on the latest research in neuroscience, behavioral economics, and psychology, the book provides fascinating insight into the complex power of influence, good and bad. Selected as a Best Book of 2017 by Forbes, The Times (UK), The Huffington Post, Bloomberg, Greater Good Magazine, Inc., Stanford Business School, and more. Tali Sharot is the author of The Optimism Bias and a professor of cognitive neuroscience with degrees in economics and psychology. She is the founder and director of the Affective Brain Lab at University College London. Her papers on decision-making, emotion, and influence have been published in Nature, Science, Nature Neuroscience, Psychological Science and many others. She has been featured in numerous outlets and written for The New York Times, Time magazine, The Washington Post, CNN, the BBC and more. Before becoming a neuroscientist Sharot worked in the financial industry for a few years and completed her national mandatory service in the Israeli air force. She lives in London and Boston with her husband and children.